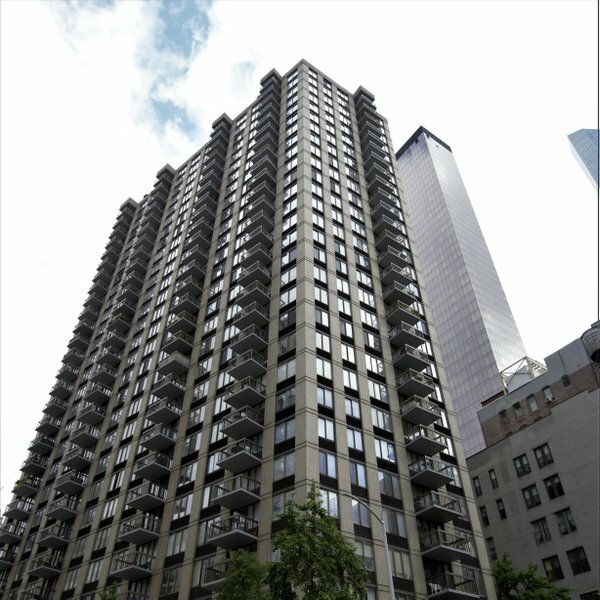 Surrounded by a neighborhood of iconic pre-war buildings, modern high-rises, and one of Manhattan's most iconic parks, the luxury condos at Madison Green boast an enviable location along one of New York City's most enticing corridors. 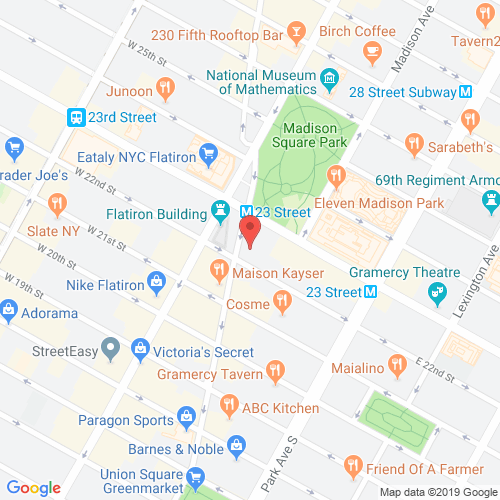 The Flatiron District offers a full gamut of excellent restaurants and shops, and 5 East 22nd Street enjoys a great address right across from Madison Square Park and the neighborhood-defining Flatiron Building. Each of Madison Green's luxury apartments blend modern design with classic appeal. Expansive foyers lead to full living rooms and comfortable dining rooms, while oversized windows frame captivating Manhattan backdrops. As an added bonus, many of these luxury apartments also feature private balconies with sweeping views of the city. Madison Green showcases a full suite of exquisite amenities, highlighting an exclusive residents' lounge on the 30th floor with sweeping New York City views. This full-service condo building also provides doorman and concierge service, a state-of-the-art fitness center, laundry facilities on every floor, extra storage, bike storage, and a parking garage. Even more, its advantageous location at 5 East 22nd Street places a bevy of New York City's best restaurants and boutiques within walking distance; and plenty of subway lines make city exploration even easier. www.madisongreen.org has no association or affiliation to the building, developer, or management company. By submitting your contact details you agree to be connected with a licensed real estate professional who has been deemed to be a specialist in this building and/or neighborhood. Madison Green 2010-2019. All rights reserved.